Sports betting adverts are encouraging gambling by associating betting behaviour with alcohol and junk food, a new study suggests. Psychologists at Nottingham Trent University found that more than two-thirds (41%) of football betting adverts in the UK and Spain featured either alcohol or junk food in some way. The study – thought to be the first to investigate the use of alcohol and unhealthy food in gambling adverts – found that betting advertising appeared to capitalise on sentiments arising from the culture of sports viewing and gambling. Alcohol, particularly beer, was used to create an atmosphere of sentimental bonding between friends and sport, and was used when there was a particularly high number of characters in an advert. The study found a link between drinking alcohol in betting adverts and emotionally-charged sporting situations such as more frequent betting while viewing a game, more goal celebrations and greater satisfaction with the outcome of games or bets. 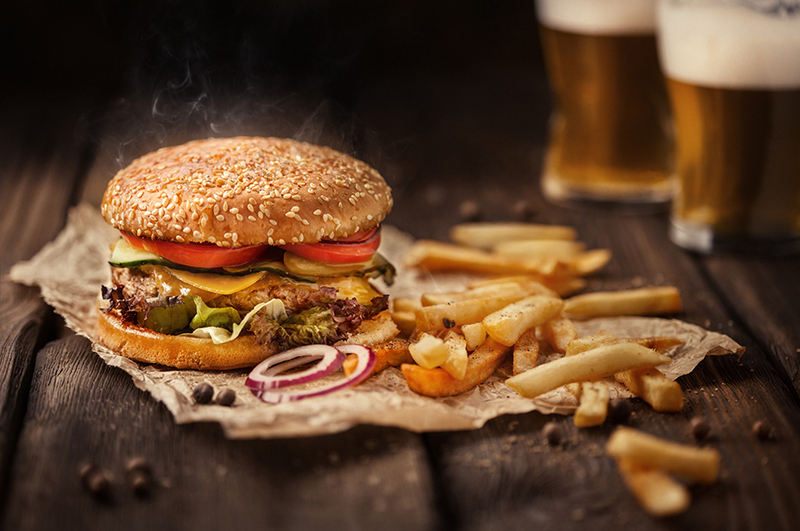 Similarly, eating junk food – such as crisps, chips, burgers or sugary drinks – was associated with celebrating a goal and satisfaction with the outcome of a game or bet. As part of the study, reported in the International Journal of Mental Health and Addiction, the researchers analysed 135 sports betting adverts – and found that 55 depicted alcohol or junk food consumption in some way. The adverts are ‘normalising’ other potentially risky behaviours by aligning them with sports culture and gambling, the researchers argue. They say that media and advertising regulators and policymakers should consider the linking of risky behaviours, particularly in the context of strong emotions and impulses such as popular sports. Dr Hibai Lopez Gonzalez, lead author and postdoctoral researcher in Nottingham Trent University’s School of Social Sciences, said: “Sport is not something that people generally approach in a neutral manner – identities and a sense of belonging are essential to understand it. This is further amplified by the thrill experienced when watching live sports in which we have a personal involvement. Mark Griffiths, Professor of Behavioural Addiction in Nottingham Trent University’s School of Social Sciences, added: “Nothing is really known about how betting advertisements might be associating gambling with other potentially risky behaviours. “The prevalence of sports betting advertising has become a major concern for gambling regulators. Drinking alcohol, in particular, is shown in betting adverts to have a clear association with sports culture and gambling. “Betting advertising may be resorting to characters drinking alcohol, largely beer, to enhance the message of friendship bonding that is often associated with the enjoyment of sport. The study also involved the Spain’s University of Deusto, University Hospital of Bellvitge-IDIBELL and CIBERobn, which aims to better understand and reduce the development of obesity and nutrition-related diseases.